LAUREL, Md. 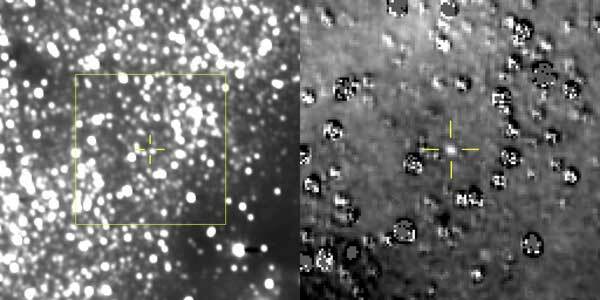 (NASA PR) — Mission team members were thrilled – if not a little surprised – that New Horizons’ telescopic Long Range Reconnaissance Imager (LORRI) was able to see the small, dim object while still more than 100 million miles away, and against a dense background of stars. Taken Aug. 16 and transmitted home through NASA’s Deep Space Network over the following days, the set of 48 images marked the team’s first attempt to find Ultima with the spacecraft’s own cameras.